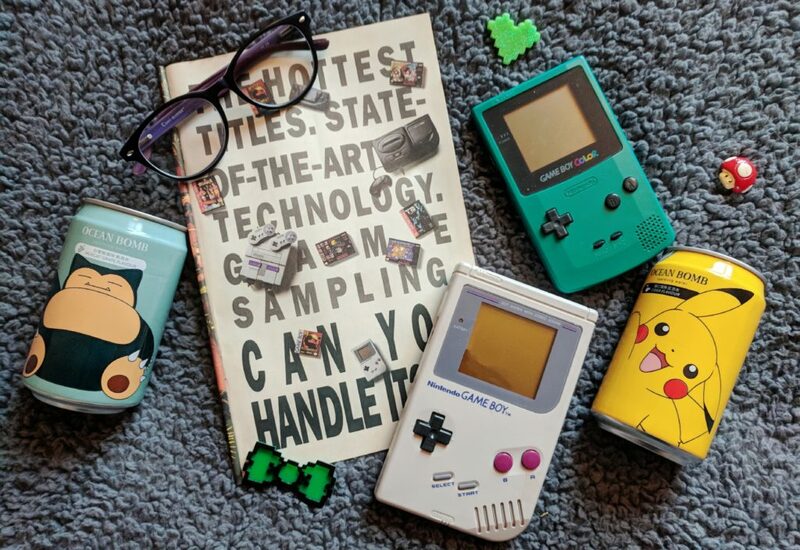 Does anyone still have a Game Boy they can’t bear to sell? Just the pure nostalgia of this little handheld console is enough to spark a hundred memories of my childhood. I remember playing Mario and Tetris for hours! It has seen me through a lot of boring long distance journeys; trying desperately to get into the light of the streetlamps so I could see the screen. Oh, the days before back-lighting was a thing! Whether that be tabletop gaming, or video games – I basically lose a lot of my life to games. It’s usually the nostalgic ones that I can really sink my teeth into and play over and over! You just can’t beat a good platformer or turn-based game! I wrote all about my top 9 games of all time here, and over half of them were on old consoles. We both look better in Colour! 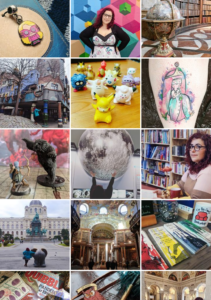 I mean, you can take my word for it… Or you could read more of my “Geeking out Loud” blog posts (Shameless plug.) I can’t help but love the geeky little things. 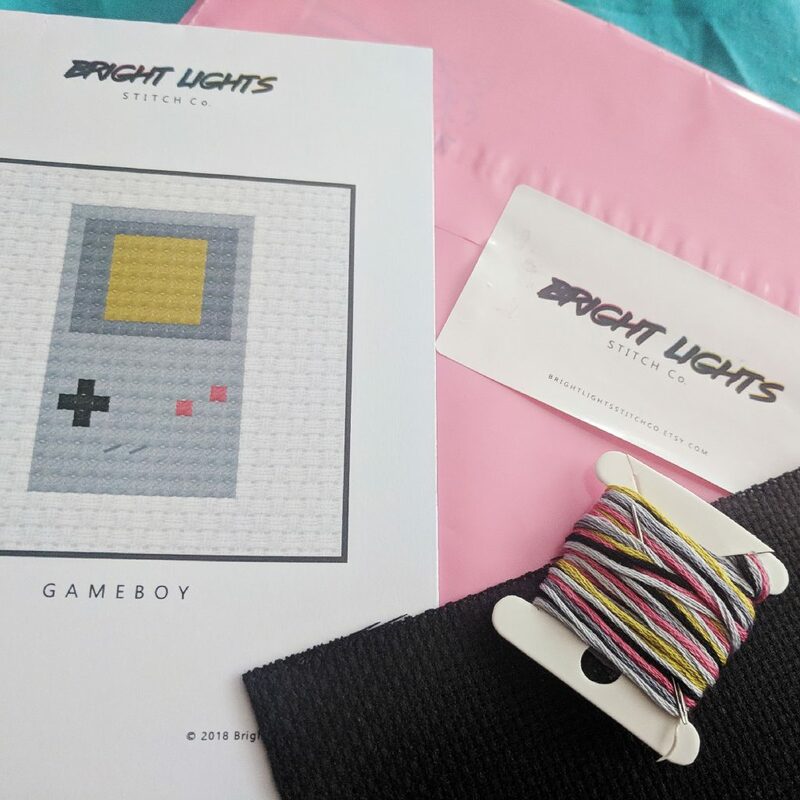 When I had the good fortune to meet Kate over at Bright Light Stitch Co* at Stratford Comic Con I couldn’t help but be amazed by all the retro nerdy 80’s and 90’s cross stitch she’d lovingly created or patterned up. There’s everything from space invaders to ghetto blasters! 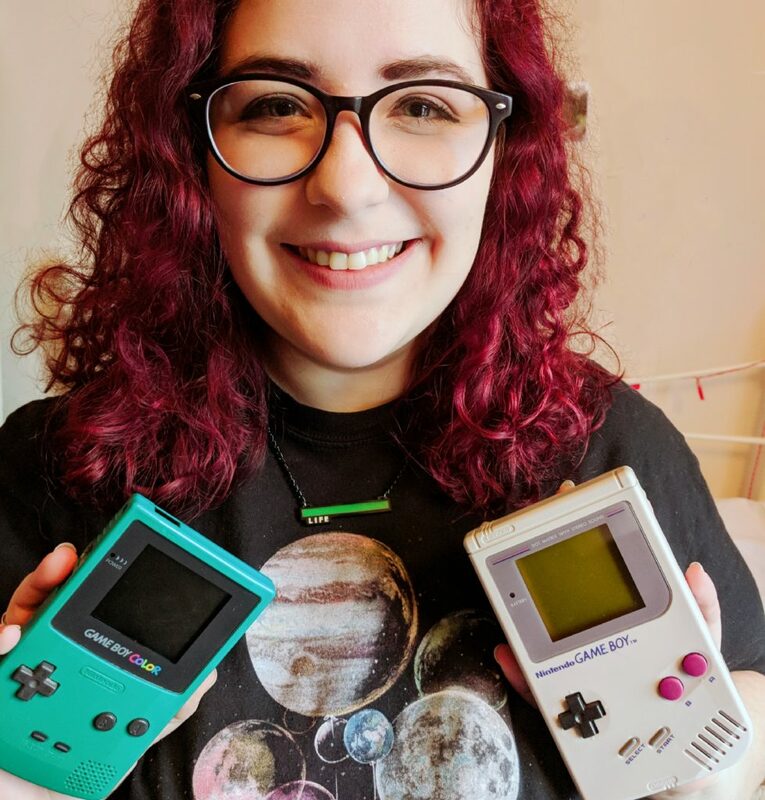 We came up with the perfect collab opportunity and she gifted me an epic Game Boy cross-stitch set! 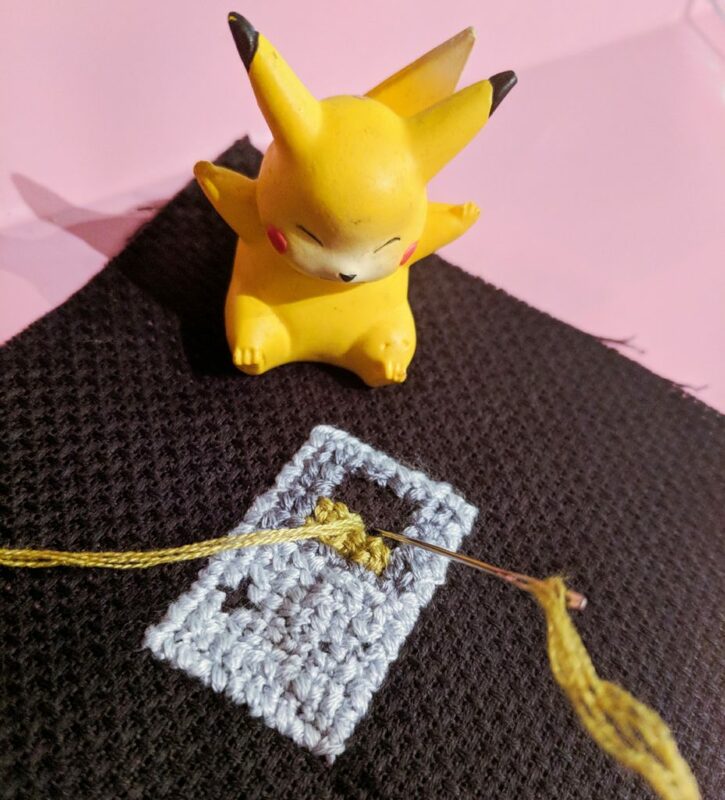 It was super easy to follow and although I don’t read instructions properly ever, she was super supportive, it was really easy to do and now I can’t wait to frame it! Also, if you don’t have the stitching skills you can buy pre-made ones too! A lovely little ode to an awesome handheld console! 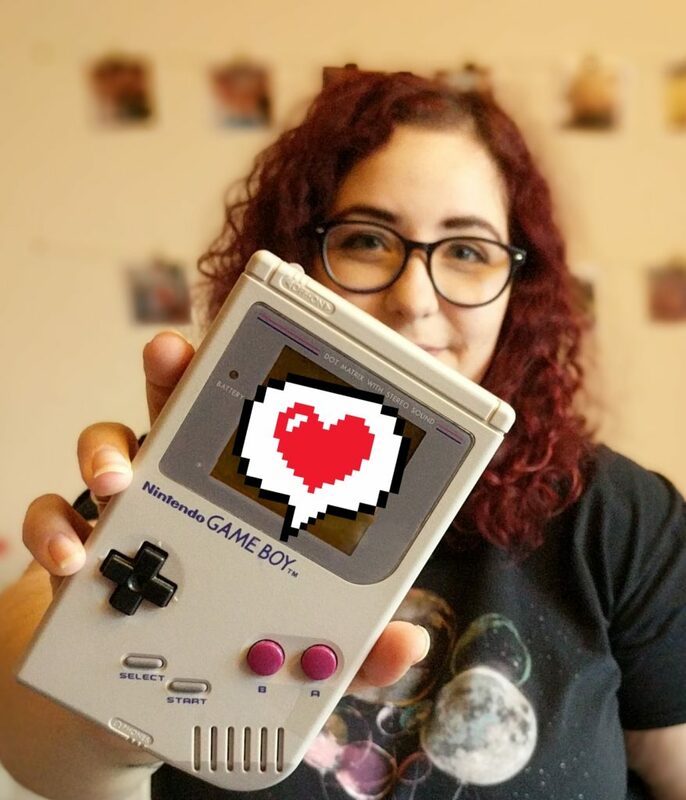 Happy 30th Birthday Game Boy! Well done you it’s looks great! 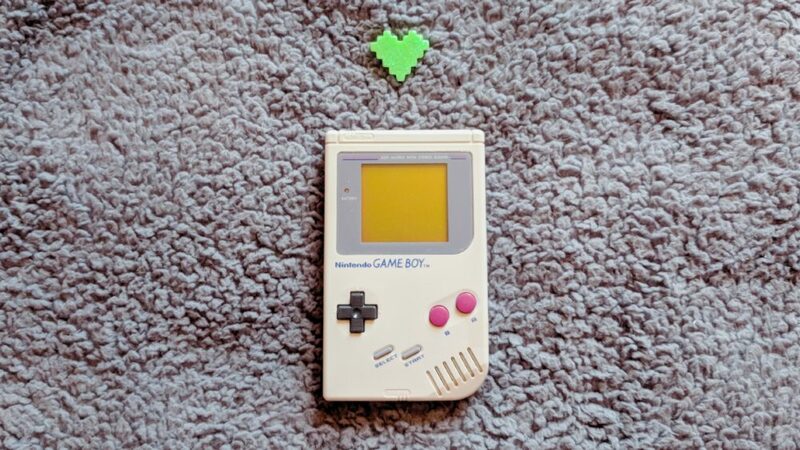 Aww, happy birth year Game Boy! …and you too, Amy! Happy Birthday! 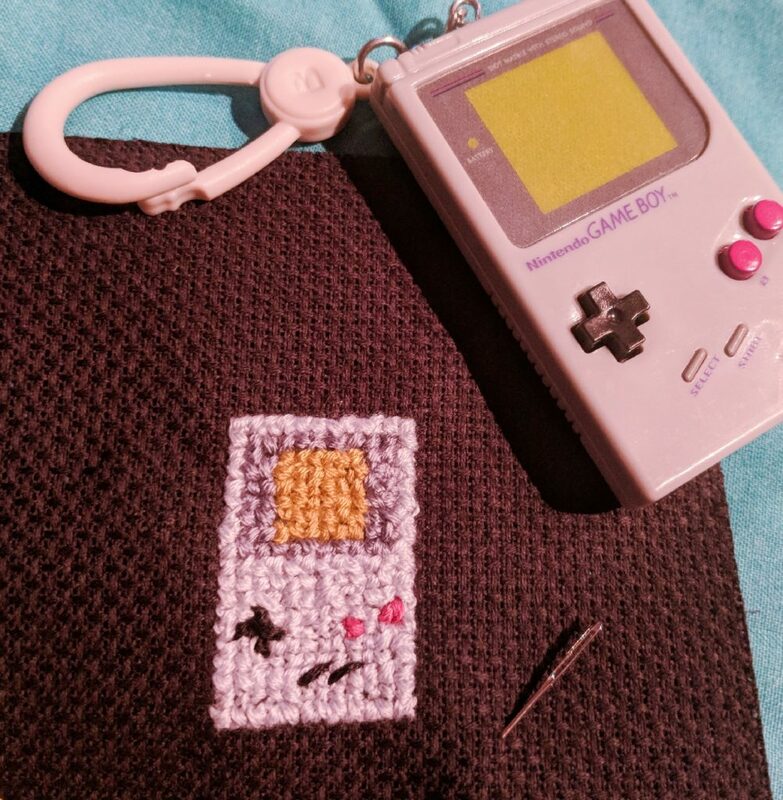 I love that Cross Stitch kit so cute! I love this post! What a fun idea for a post! And Happy Birthday! Happy 30th birthday month Amy!! Aww Amy I loved this post so much! 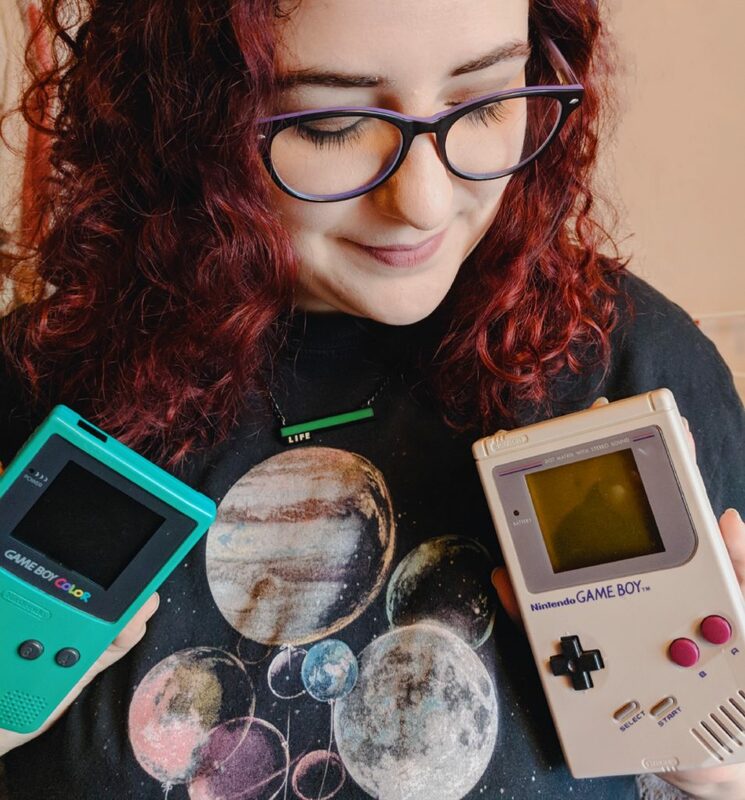 I didn’t realise the Game Boy was 30 this year. That’s crazy!! Aww that's so sweet! I wish I had big brothers to get hand-me-downs from! GIVE ME YOUR CONSOLES!